We all know of Manny Pacquiao as the “People’s Champ”, a moniker he earned from his illustrious boxing career. He brought this sobriquet with him to the Philippine Senate, which he was elected to in 2016. During his stint thus far as a Senator, Pacquiao has failed to show any semblance of being a champion for the people. Though in fairness to the legendary boxer, the other incumbent Senators rarely act in the people’s best interests either. Former congressman and current Senatorial candidate Neri Colmenares. This is why there is a need to elect a genuine “people’s champ” in the Senate in the upcoming 2019 mid-term elections, and that person is best exemplified by former congressman Neri Colmenares. In this race that has mostly been framed as being against the pro-administration “Hugpong ng Pagbabago” line-up versus the opposition “Otso Diretso” candidates, Colmenares stands out as being part of neither establishment. Instead, the stalwart of the Bayan Muna party is running as an independent – which means he has to rely on his own machinery, name recognition, and above all, funding. The HNP candidates enjoy the endorsement of President Rodrigo Duterte, who continues to receive strong approval ratings. That, in itself, is a gargantuan boost for the individuals included in their line-up. Meanwhile, the “Otso Diretso” (Eight Straight) is the de facto slate of the Liberal Party – the minority bloc in the Senate and the House of Representatives, and also receive the endorsement of big names such as former President Noynoy Aquino (Duterte’s predecessor). This means that the group already have a robust party machinery, having been the governing party of the past. Neri Colmenares on the other hand, is running as a standalone candidate for the Senate, backed only by his colleagues in his Bayan Muna party – a progressive political party which only holds a solitary seat in the Lower House, and have never won a seat in the Upper House of the Philippine Congress. But while Colmenares may suffer from this disadvantage, he has been gaining traction in the media for his relentlessness in defending the ordinary Filipino. Only this month he has been the face of the push-back against the dredging of sand in Zambales province, the massacre of 14 farmers in Negros Oriental, and the veiled threat of President Duterte to declare martial law. What this proves is that the former congressman and long-time activist can match the main two factions in publicity, sans their campaign war-chest or star-power. Above all, Colmenares is demonstrating that one can run an effective election campaign by standing firmly with the masses and their concerns. This is welcome news, historically Philippine election cycles are dominated by candidates who produce the catchiest jingles, the most number of posts or tarpaulins, or whoever can appear on television the most. 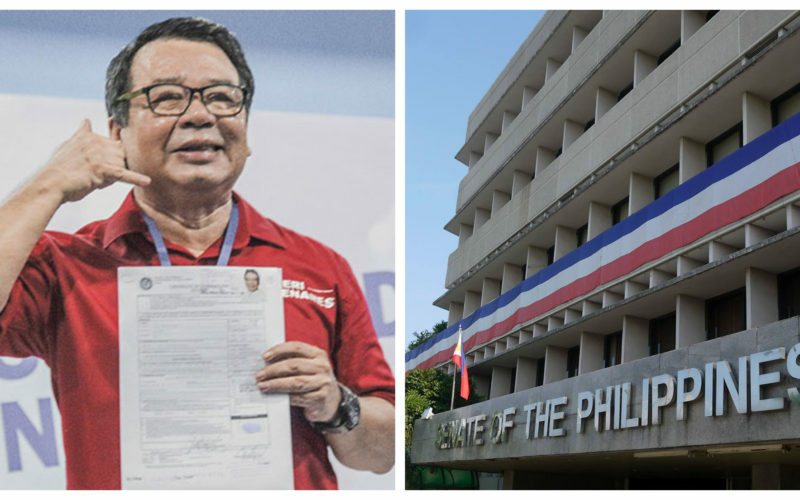 Colmenares is bucking the trend by winning people’s votes by championing their grievances – after all, he was a veteran of the House of Representatives. However, Colmenares still faces a challenge in becoming an elected senator – in the latest Pulse Asia survey he ranked 21st among all candidates, only the top 12 will be given seats in the Senate. Though, that move represents a sizable leap from being ranked 32nd only in 2018. By continuing his tireless crusade to champion the welfare and safety of the masses, Colmenares can continue his gains and eventually make it to the “Magic 12”. If recent events are to go by, the activist has many issues he can advocate for and win voters. The controversial loan agreement with China over the Chico River pump irrigation project and the Kaliwa Dam are two concerns that have taken the spotlight in the media recently. The suspiciously onerous terms of the agreement could imperil future generations by entangling them in a “debt trap”. 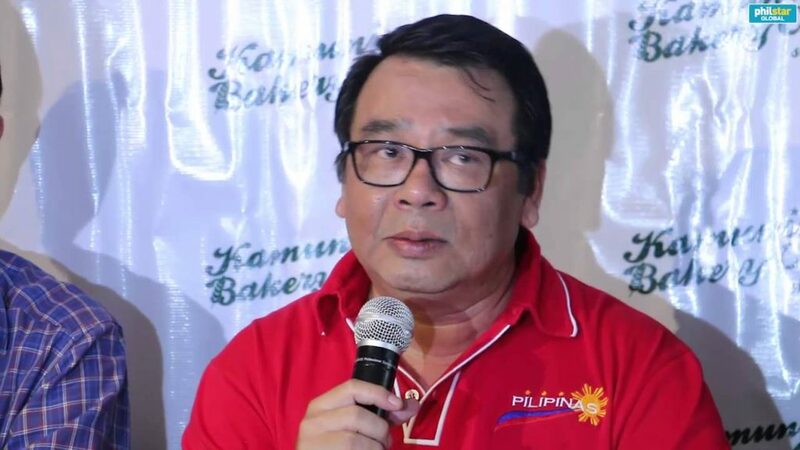 In both issues, Colmenares has been very vocal in holding the Government to account (READ: on Chico river, on Kaliwa Dam) – forcing Presidential Spokesperson Salvador Panelo to issue retractions of his statements regarding the said loan, exposing the administration to be clueless on their own infrastructure projects. The maritime border dispute in the West Philippine Sea is also a salient issue during this election cycle. Filipino fishing communities have been impeded from accessing their traditional fishing spots, even if they are under the Philippines’ exclusive economic zone (EEZ). Neri Colmenares issued an ultimatum to the Duterte administration, saying if they do not act on the West Philippine Sea issues he and other activists will. The senatorial candidate has been a long-standing critic of the Government’s weak response to Chinese intrusion in our EEZ, defending the rights of Filipino fishermen as well as Philippine sovereignty. Imagine what action Colmenares could do if he had powers of a lawmaker, much more that of a Senator who have influence over the Philippines’ foreign policy. Many Filipinos want concrete action on defending our maritime borders and sovereignty, this should only embolden us to vote for the Bayan Muna stalwart for senator. In the handful of examples demonstrated in this article, we can see that Neri Colmenares has been consistently devoted to standing up for the common folk. He defends oppressed farmers in Negros, fishermen who lost their livelihood in the West Philippine Sea, and our natural resources from being exploited by foreign, hegemonic powers. To top it off, he also does not have the backing of the established elite – choosing instead to run as an independent even if it means campaigning with limited resources. This man, although of diminutive stature, chooses to take on the tallest of orders – all to be a fighter for the ordinary Filipino. Such boldness can only come from a genuine love of country, a real sense of patriotism – it is only logical that his party, “Bayan Muna”, translates to “Nation First” in English. This is why come May 13, 2019 voters should all remember the name of Neri Colmenares, a true people’s champ. How long can the National Party get away with bullying?